The BHI U.S. natural gas rig count was down big this week, dropping 17 to 104. A 14% drop in one week! Over the past 10 weeks, the count has plummeted 88 rigs, or 46%, from what was already a record low (at least since the late 80's). 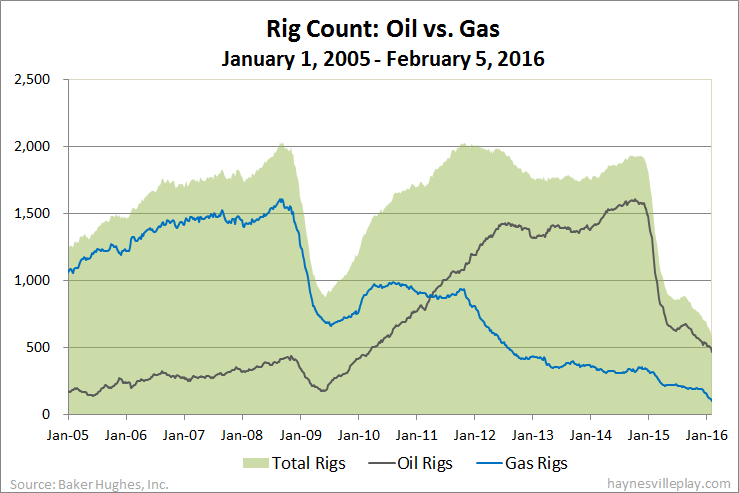 The overall count was down 48 rigs, as oil rigs declined by 31, but percentage-wise, that was only 6%. Only six percent - it's amazing what happens when you continually reset your expectation downward. I know you are not keeping track of the Haynesville anymore. Could you do an update on the rig count one last time?